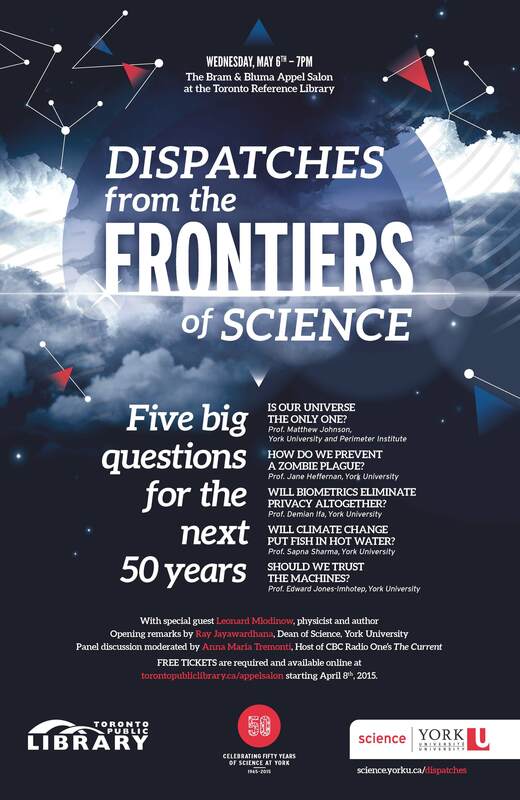 The Science@50 public event, Dispatches from the Frontiers of Science, was held at the Appel Salon of the Toronto Reference Library on May 6, 2015. 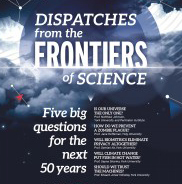 A crowd of more than 500 community members gathered to hear about five big questions for the next 50 years from professors Matt Johnson (Physics & Astronomy), Jane Heffernan (Mathematics & Statistics), Demian Ifa (Chemistry), Sapna Sharma (Biology) and Edward Jones-Imhotep (Science & Technology Studies). Anna Maria Tremonti, host of CBC Radio’s The Current, moderated the discussion. Is Our Universe the Only One? For millennia humans have watched the stars, but only since the Enlightenment have we looked at them through a scientific lens – both literally and metaphorically. Scientific observations have led to an ever-larger picture of our observable universe — the things we can see. However, all along the way some have speculated whether there are other regions beyond what is known. Do other regions exist that may consist of diverse histories and properties? In other words, is there a ‘Multiverse’? At the intersection of ideas from cosmology and string theory emerges a prediction that we could inhabit one of the most interesting sorts of multiverses imaginable: one arising as a natural consequence of compelling explanations for other properties of our universe, and one that at least in principle can be tested with observations. In his talk, he outlined these ideas and discussed how we might determine if our universe is the only one. Matthew Johnson is jointly appointed to the Department of Physics & Astronomy at York University in Toronto and the Perimeter Institute in Waterloo, Ontario. His research specialties are theoretical cosmology and high-energy physics, and he is known for his work on inflationary cosmology, the cosmology of string theory and the first observable tests of eternal inflation. 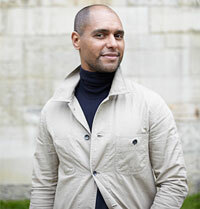 He did his postdoctoral research at Caltech and the Perimeter Institute and earned his PhD at UC Santa Cruz. How Do We Prevent a Zombie Plague? Since the dawn of civilization, plagues have posed existential threats to individual human hosts and their communities. How can we protect ourselves against such invasions? The answer is in the math. In this playful look at a dead-serious subject, she explored how, in the event of a zombie plague, mathematical modellers would put tools in the hands of public policy decision makers to mitigate or eliminate a zombie pandemic, and the resulting threat to humankind. 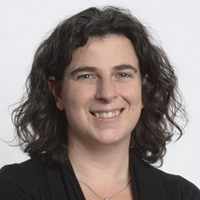 Jane Heffernan is an associate professor in the Department of Mathematics & Statistics at York University in Toronto, where she also heads the Centre for Disease Modelling and is involved in research initiatives with China, Brazil and Africa. Her work examines how individual behaviour and immunity profiles affect disease outcomes both inside the human body (in-host) and at the population level. She earned her PhD at Western University in London, Ontario. Will Biometrics Eliminate Privacy Altogether? Today we use smart cards, passwords and PINs to access our bank accounts, our e-mail, our calendars, and even our homes. Biometrics offer a practical alternative. A biometric is a measurable physical characteristic (e.g. iris pattern) or behavioural trait (e.g. voice) that can be used to verify a person’s identity. Biometrics cannot be lost or forgotten, they are difficult to copy, forge or share and they require the individual to be present at the time of identification. In other words, they are the perfect solution to scribbled passwords on misplaced sticky notes! However, evolving technologies allow the collection of far more information than the user may have bargained for. Companies, governments or other entities could use these data to monitor people without their knowledge, raising important privacy concerns. His talk discussed the rapidly evolving scientific capabilities in this field, to inform the public debate. Demian Ifa earned his PhD in Pharmacology at the University of São Paulo. 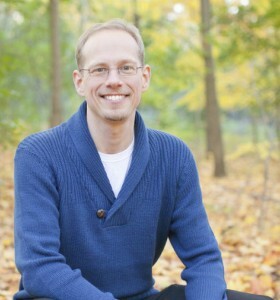 After research positions at Purdue University in the United States, he joined the Chemistry Department at York University as an assistant professor. 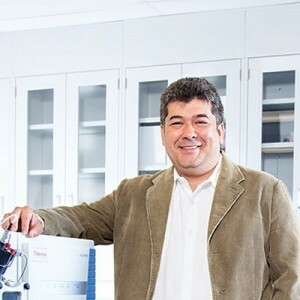 His major research interests are ambient ionization techniques, imaging mass spectrometry, structural biology and clinical mass spectrometry. Will Climate Change Put Fish in Hot Water? Lake temperatures are changing around the world in response to a changing climate. Historically Ontario lakes have been highly significant bellwethers, as they represent a northern or southern limit to many freshwater fish species, making Ontario fish particularly vulnerable to climate change. She presented her population projections for several sport fish species in Ontario lakes, and talked about what these fish populations could look like by mid-to-late century. Of particular interest are walleye and smallmouth bass, which are among angler favourites. But as the feisty smallmouth continues its march northward in Ontario, it will put populations of trout and walleye at long-term risk. 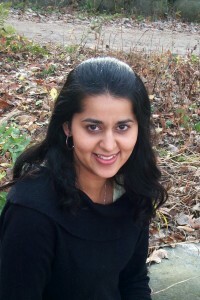 Sapna Sharma is an assistant professor in the Department of Biology at York University. She received her PhD from the University of Toronto and held post-doctoral fellowships at Université de Montréal and University of Wisconsin-Madison. The primary focus of her research includes understanding the impact of environmental stressors such as climate change, invasive species introductions, habitat degradation on ecosystems at a range of spatial and temporal scales and improving our abilities to develop predictive models. Rise of the Machines: What does our trust in technology say about ourselves? The modern world has been characterized by the rise of machines — as devices and instruments for engaging the world; as analogies for making sense of it; even as extensions of our own bodies and minds. And for centuries, that rise has sparked both hope and anxiety. Can we trust machines? How is our trust in them linked to ideas about our reliability as humans? And what do those hopes and anxieties tell us about ourselves in an age where machines are everywhere? In this talk, Dr. Jones-Imhotep challenged us to think about the complex relationship between humans and technologies through the fascinating question of our trust in machines.